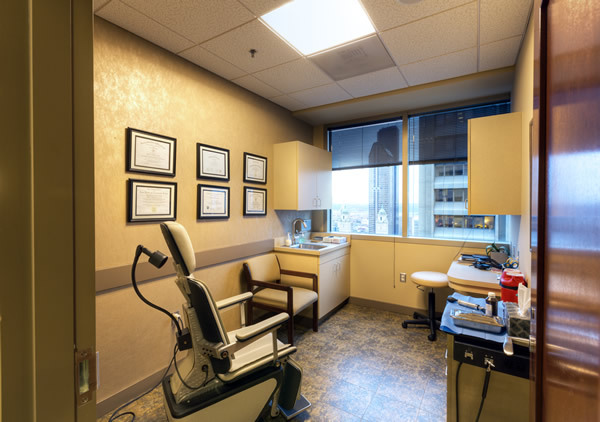 Board certified in Ear, Nose, and Throat Surgery and board certified in Facial Plastic and Reconstructive surgery. Before and after blepharoplasty – eyelid surgery photos available. It is important that the facial plastic surgeon in Seattle WA performing an eyelid surgery – blepharoplasty procedure has performed thousands of them. Dr. William Portuese is board certified in Ear, Nose, and Throat Surgery and board certified in Facial Plastic and Reconstructive Surgery in Seattle Washington. His expertise is extensive with eyelid surgery – blepharoplasty. For other facial plastic surgery procedures like rhinoplasty surgery and facelift surgery visit The Seattle Rhinoplasty Center. When aging of the eyelids is out of harmony with the rest of the face, patients become self conscious about it. It could be time for a blepharoplasty in Seattle. Patients’ friends tell them that they look tired all the time, but yet they feel great. The eyelids are probably one of the most defining characteristics of facial expression. For that reason, blepharoplasty – eyelid surgery is performed. It is a very popular procedure in Seattle Washington, being in the top 1/3 in popularity of all cosmetic procedures performed on the face in the United States. Blepharoplasty ( Upper and Lower Eyelids ) is also referred to as having one’s eyes done and can be performed for both cosmetic reasons and functional reasons. Eyelid Surgery or Blepharoplasty is a surgical procedure that is performed to make the eyes look better rested on the upper lids and to remove the puffiness and bags on the lower lids. Excess skin and fat is removed on both the upper and lower lids. There are three components that make up the eyelids; skin, muscle, and fat. Fat bulging creates a puffiness look on the lower lids as well as the upper lids. Excess skin can fold over on the upper lids, touching the eyelashes, creating visual obstruction when severe enough. On rare occasions, excess muscle on the upper lids can also be an issue and sometimes needs to be conservatively trimmed for cosmetic purposes. All three of these components must look good in a symmetrical fashion and allow for proper blink reflex and closure of the eyes. An upper blepharoplasty and a lower blepharoplasty can be performed independently or together. Most close family members and friends do not recognize the fact that a patient has had blepharoplasty surgery; they just look better rested and refreshed. There is the upper blepharoplasty – eyelid surgery for excess skin on the upper and the lower blepharoplasty. The lower is done with the primary goal of removing excess bags and sometimes trimming a little bit of skin at the lash line. Preexisting conditions can limit what a blepharoplasty – eyelid surgery procedure can do. The amount of correction that can be achieved depends on certain characteristics and traits such as thickness and oil content of the skin, underlying structural support of the fat and muscle, and overall prominence of the eyes. Many times, there are also preexisting asymmetries where one eyebrow and orbital socket is lower than the opposite side. This is all taken into account when a blepharoplasty is performed. The goal of upper blepharoplasty is to reshape and sculpt the upper lids so that they look more well rested and the goal of lower blepharoplasty is to remove the excess bags on the lower lids to give a refreshed look. Blepharoplasty – Eyelid Surgery is performed when the eyes start to sag or become puffy underneath, usually when people are in their 40s or 50s. Other things that can cause puffiness on the lower lids are allergies, genetic predisposition, salt intake, fluid, and hormonal changes. Dark circles and lower pigmentation are not changed. The shadows that are created from the lower portion fat bags are improved when the preexisting fat is removed from the lower lids by blepharoplasty. A conservative pinch of lower lid skin taken at the eyelash line can also help with lower skin laxity. In addition, it is also extremely important at whatever age the blepharoplasty is performed that the patient is in excellent health and has no preexisting medical conditions. It is very important to follow all pre and postoperative instructions for a seamless blepharoplasty surgery and postoperative recovery. Chronic health problems such as liver, heart, lung, or kidney disease may render the patient unsuitable as a surgical candidate for eyelid surgery – blepharoplasty in Seattle WA. Uncontrolled high blood pressure can cause bleeding, diabetes can cause infections, and smoking can cause healing issues. It is important that the facial plastic surgeon performing a blepharoplasty procedure has performed thousands of them. 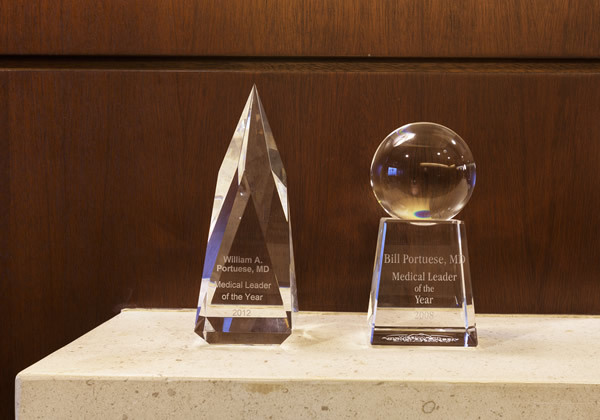 Dr. William Portuese is board certified in Otolaryngology Head and Neck Surgery (Ear, Nose, and Throat Surgery) and board certified in Facial Plastic and Reconstructive surgery in Seattle Washington. His expertise is extensive with the face and neck especially blepharoplasty. 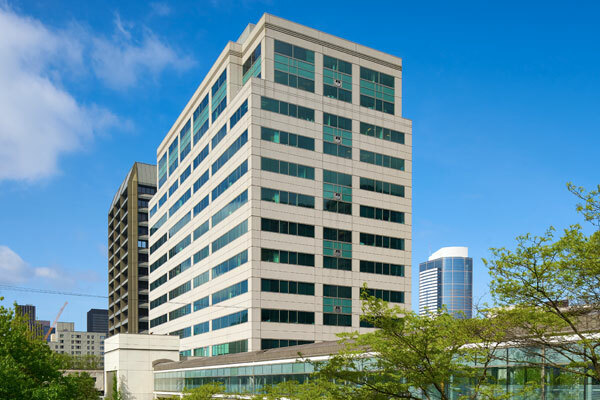 The surgery center where the procedures are performed is a Medicare Certified Surgery Center located at 1101 Madison Street, Suite 1280, adjacent to Swedish Medical Center. Medicare certification for an ambulatory surgery center is one of the highest quality accreditations available. The blepharoplasty surgical team consists of four registered nurses, who have been performing facial plastic and reconstructive surgery for 30+ years combined. The anesthesia that is used for this type of blepharoplasty surgery is a general anesthesia performed by individually board certified physician anesthesiologists from Swedish Medical Center. 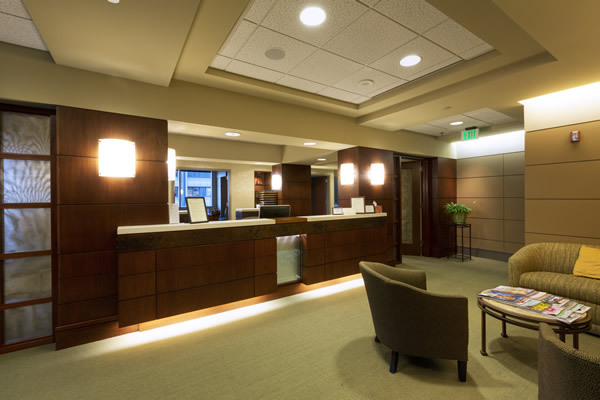 When patients are coming in from out of town to have their eyelid surgery – blepharoplasty performed at The Seattle Eyelid and Blepharoplasty Center, there are four hotels located within two blocks of the office. 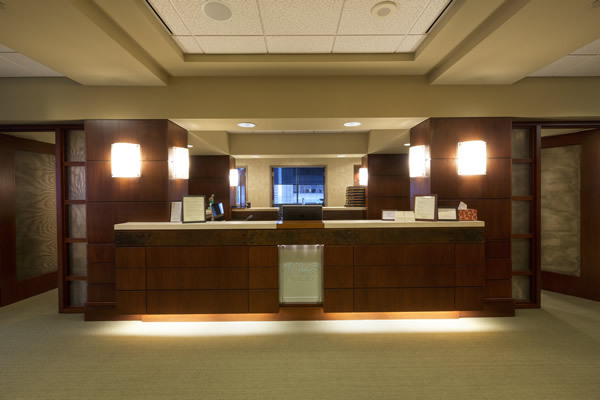 Our office administrator can give patients assistance with hotel reservations. We do recommend that blepharoplasty patients stay in Seattle WA for at least four or five days to one week for their postoperative care. The blepharoplasty consultation is important face-to-face time with Seattle facial plastic surgeon Dr. William Portuese. This is an opportunity for patients to ask questions and to discover what the procedure can and cannot do for them. 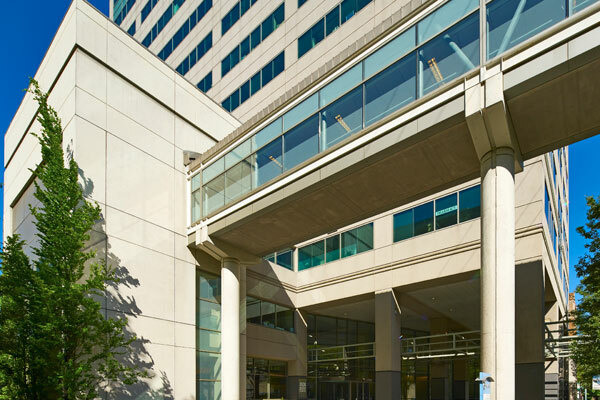 At the Seattle Eyelid and Blepharoplasty Center, there is a charge of $75 for a consultation. Learn more about the cost of the procedure. 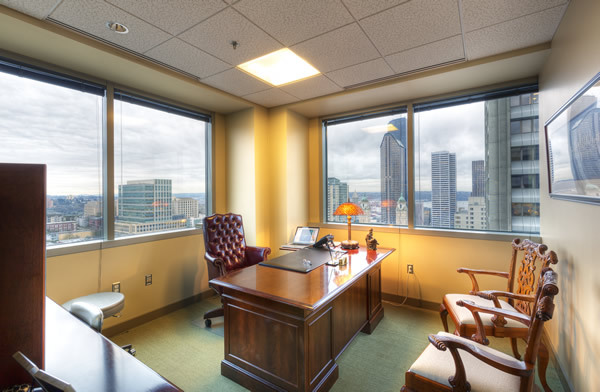 This consult will last approximately 30 minutes with blepharoplasty surgeon Dr. William Portuese in Seattle WA and 30 minutes with the administrative staff. During the consultation, patients will fill out medical history forms and undergo a physical examination by Dr. William Portuese for a blepharoplasty – eyelid surgery. 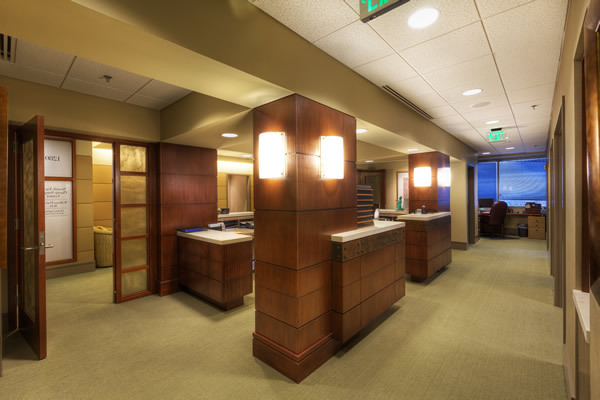 Often, additional time will be spent with the office manager and patient coordinator and nurses discussing fees, blepharoplasty procedure, scheduling, and reviewing computer imaging. For blepharoplasty (eyelid surgery) in Seattle Washington contact our office. 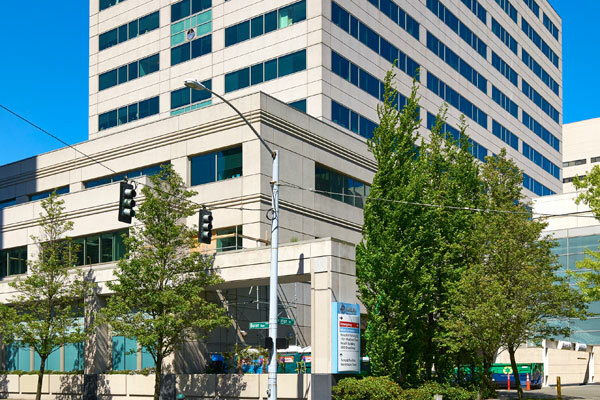 Bill Portuese sees eyelid surgery patients from Seattle, Bellevue, Tacoma, Spokane and outside of Washington including Portland Oregon - The Portland Center for Facial Plastic Surgery . Visit http://www.aboto.org/ or abfprs.org for more information about certification.